Previous image, 51 total items. Next image, 51 total items. Fascinating pyramids, bustling bazaars and beautiful Islamic architecture have made this Middle Eastern country an alluring destination for tourists throughout the centuries. Egypt is an enchanting blend of old and new, combining ancient temples and burial chambers with modern shopping malls and an active nightlife. 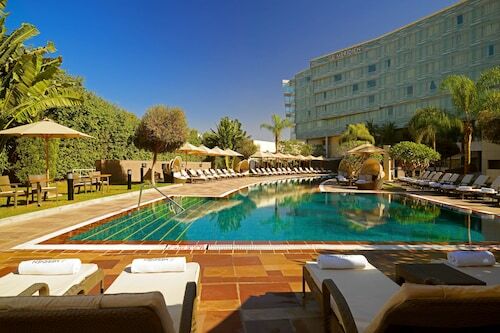 Trek through the mountains of the Black Desert, go diving in the Red Sea or cruise down the Nile River. 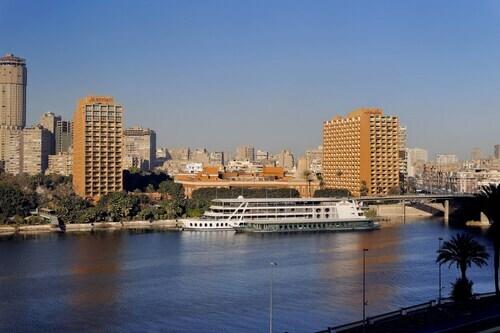 The country has been inhabited since prehistoric times by ancient tribes who used the Nile to sustain their agricultural economy. After thousands of years of invasions, battles and revolutions, Egypt is now a republic. While Arabic is the official language, listen carefully and you will hear other languages such as English, French and Spanish being spoken in its cities. Explore the capital city of Cairo by wandering through the popular open-air bazaars, Khan El Khalili. Sniff exotic perfume, watch local shop owners trade with customers and shop for unique jewelry. In the evening, listen to a live performance in a Cairo music club or enjoy delicious Mediterranean cuisine at a locally owned restaurant. 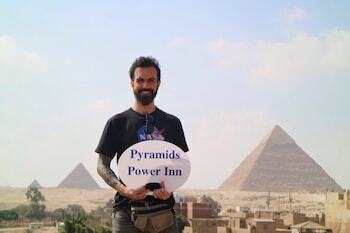 Just outside Cairo are the Great Pyramids of Giza. Gaze at the tallest pyramid in Giza, Khufu’s Pyramid, one of the seven wonders of the ancient world. Ride a camel on a guided tour around the area and stop to marvel at the iconic Great Sphinx. 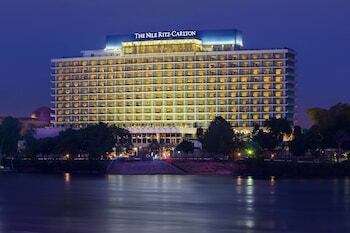 Travel as the ancient Egyptians used to by taking a cruise down the Nile. 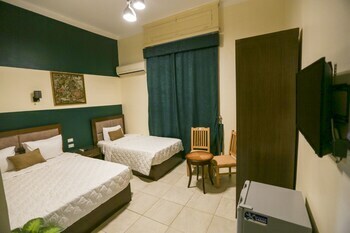 A popular route is from the city of Luxor south to the town of Aswan. As part of your tour, visit the Colossi of Memnon on the West Bank and the High Dam in Aswan. 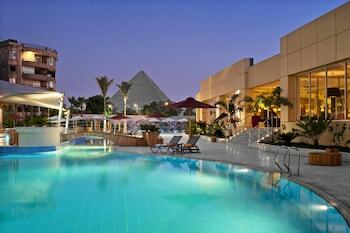 Choose from 10 international airports in Egypt, located in major cities such as Cairo, Alexandria and Sharm El Sheikh. Egypt’s bus system is comprehensive and generally reliable, and a train service operates from Alexandria in the north to Aswan in the south. Travel to almost anywhere in Egypt by renting a car with a driver, who can get you safely through the chaotic Egyptian traffic while you relax. 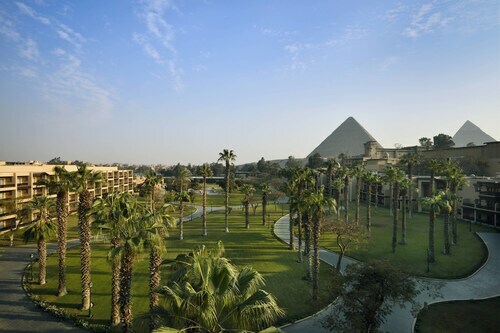 In addition to providing a rich cultural experience, Egypt is also a great place to participate in sports such as scuba diving, golf and quad biking. 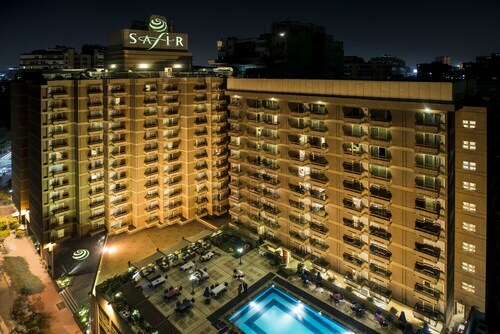 This family-friendly Luxor hotel is located on the riverwalk, within 2 mi (3 km) of Karnak and Luxor Museum. Luxor Temple is 2.5 mi (4.1 km) away. 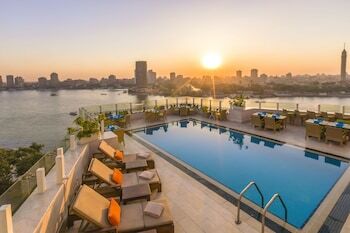 Set amid lush tropical gardens in Cairo city center, this palatial hotel is on an island in the Nile within 15 km of Giza's pyramids. 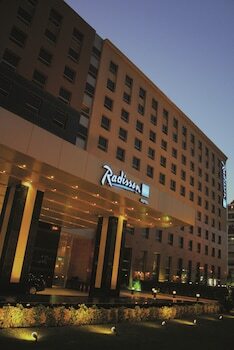 Located in Al Duqqi, this luxury hotel is within 2 mi (3 km) of Orman Botanical Gardens, Egyptian Museum, and Cairo Tower. Tahrir Square is 1.6 mi (2.6 km) away. 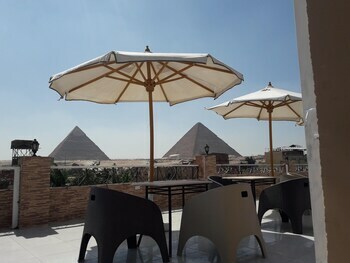 Located in Al Haram, this luxury hotel is within 1 mi (2 km) of Pyramid of Khufu, Giza Pyramid Complex, and Great Sphinx of Giza. Giza Plateau and Giza Solar Boat Museum are also within 1 mi (2 km). 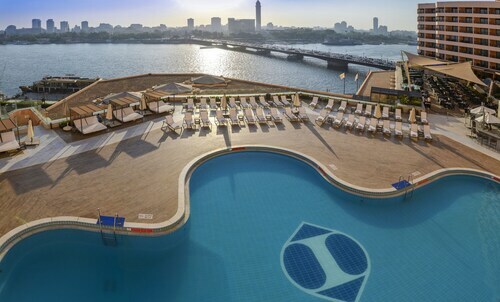 Centrally located, this luxury hotel sits by the Nile River and is within 0.5 km (0.3 mi) of the Egyptian Museum, Cairo Opera House, and Cairo Tower. Old Cairo and the Citadel are within 5 km (3 mi). Pearson Intl. - Cairo Intl. Vancouver Intl. - Cairo Intl. Fri., 19 Jul. - Fri., 1 Nov.